This document is the entire agreement between Ocean City Parasail, Inc. and the users of our website. These Terms of Service must be accepted by all visitors to this website. You agree that Ocean City Parasail, Inc. reserves the right to change any of the content of this website. We may do so at any time without providing our users any prior notice. This means we may make updates to our content, to our layout or to any of the data, information or layouts that we elect to use on this website. You agree that Ocean City Parasail, Inc. has the right at any time, for any reason to restrict or terminate access to this website. We do not have to provide any prior notice of this restriction or termination of any user’s ability to use this account. Ocean City Parasail, Inc. takes the accuracy of the information presented on this site seriously. In spite of our best efforts there may be times when information may contain errors. You agree that by using this site that all of the content is presented “as is” and “as available”. Ocean City Parasail, Inc. makes no warranty, express or implied about the content of this site nor should it be considered medical diagnosis, advice, recommendation and or treatment options, we strongly recommend that you consult with your doctor or qualified medical professional to obtain any diagnosis, treatment advice and options that may or may not be available to you. In addition, we make no guarantees, or warranties as to the merchant ability or fitness for any purpose of any information or materials on this site. If possible, we try to insure that none of the content of this site infringes on any copyrights. In the event that this information is placed on the site by a third party, we are not liable for any potential copyright violations. We do our very best to ensure that our site is fully secure. You agree that Ocean City Parasail, Inc. website does not and cannot warrant that the security is 100% guaranteed. We cannot be held responsible for any information that is sent via electronic communication or via our website that may contain viruses or contain harmful elements. Ocean City Parasail, Inc. limits on liability include indirect liability, inconsequential liability, punitive liability, special damages and incidental damages that you may incur from using our site. This includes any damages that may arise as a result of our site being inaccessible. Due to the Limited Number of Seats on Each Trip, It is Necessary to acquire a $20.00 Non-Refundable Deposit for Each Parasailor. You agree that Ocean City Parasail, Inc. owns the copyrights as well as intellectual property rights and proprietary rights to all of the content, logos, banner design, photographs, design, and content within the website. 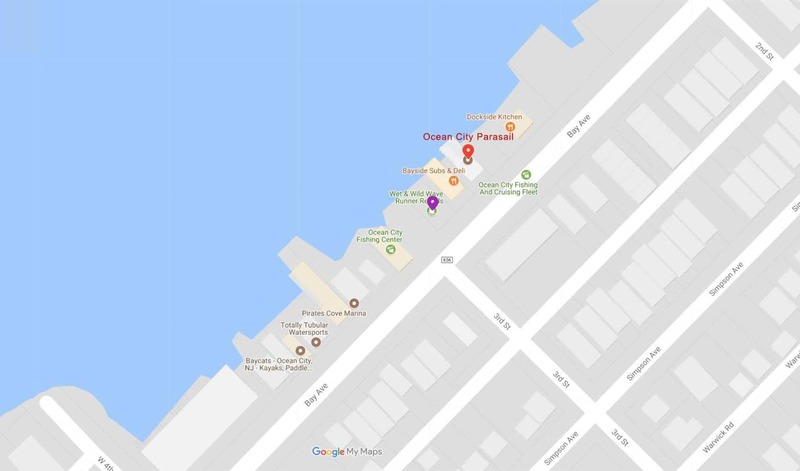 You agree that any rights not granted to Ocean City Parasail, Inc. are reserved by third parties and/or distributors. You agree to not use any of the website content in any manner without our express written consent. OceanCityParasail.com/ Ocean City Parasail, Inc.